It is hard to convey the complexity of our fragrances through words. We try our best to describe them, but there is just no way we can explain how they will make you feel. And everyone experiences in a different way. 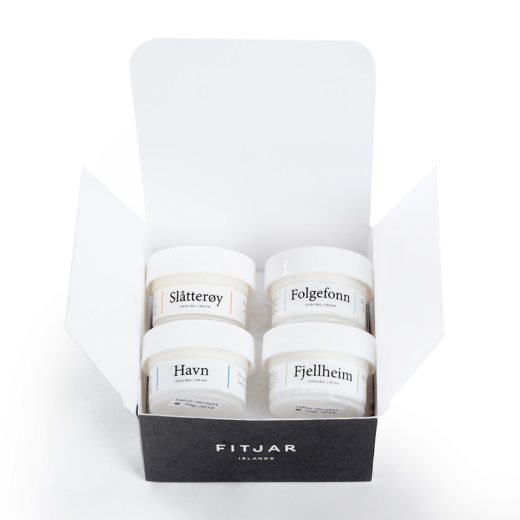 So we have put together our current collection of signature fragrances in a shaving cream set that we have named Island Hopping, for you to explore them all, pick your favourite and can carry a little bit of Fitjar Islands with you wherever you go.